Andrew Nixon grew up riding motorcross and playing the piano and guitar in Southern California. After suffering multiple ear infections as a child and sustaining trauma to his eardrum in high school, he was inspired to pursue a career in Audiology. Experiencing an injury that caused an instant loss of hearing showed him the value of good hearing. Andrew enjoys working with patients who suffer from dizziness, as his traumatic injury eventually led to vestibular problems. 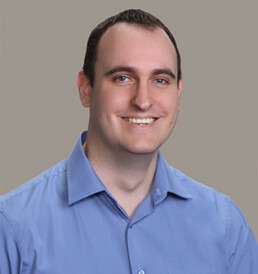 After graduating from Desert Christian High School in Lancaster, California, Andrew received his Bachelor of Arts in Communicative Disorders from California State University, Long Beach. He went on to earn his Doctorate of Audiology from Idaho State University. In his free time, Andrew enjoys spending time with his family and friends.